MLB Blog: Blue Jays Starter ? 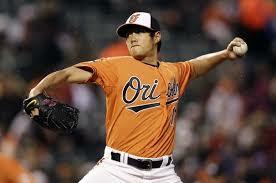 BALTIMORE - Wei-Yin Chen is a free-agent starting pitcher that was an Oriole in 2015.. Reportedly, he is looking for something in the neighborhood of $100M over 5 years. Too rich for the Blue Jays ?